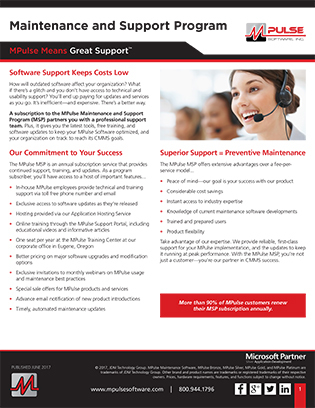 Learn all the easy ways to access what many customers call "the best support and training in the industry." Whether you’re looking for an inexpensive way to get your team up to speed on the basics, or a full-service implementation program, we’ve got you covered. 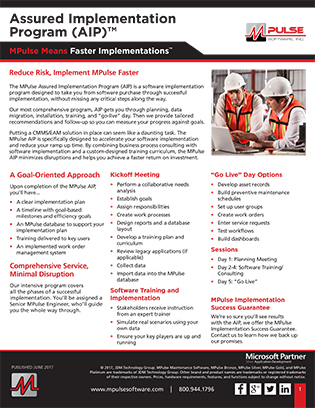 MPulse offers a range of excellent training and implementation consulting options to suit the goals of any organization, any schedule, and any budget. 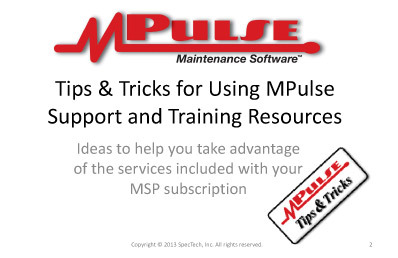 Like MPulse’s software packages, we bundle our training and implementation options to serve a wide range of experience levels, asset inventories, and operational models. 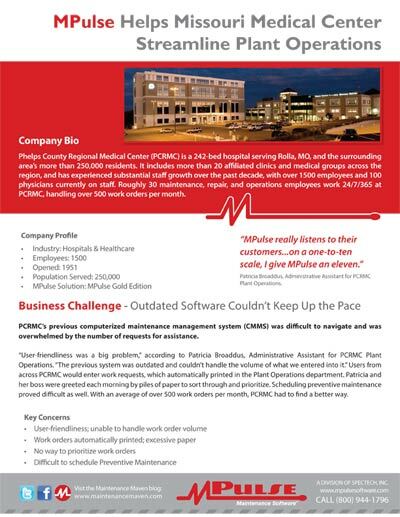 Whether you’ve got an experienced team spread across numerous locations or a small maintenance operation with a few employees, MPulse has a program for you.